I came across a Bloomberg article titled, [T]he $1,300 U.S. Rental Home Is So Hot the Canadians Are Bidding for It. 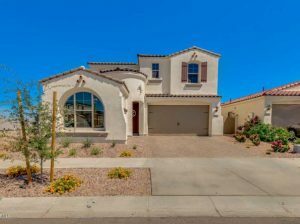 In the article it discusses how Tricon Capital Group Inc., a Canadian firm, has quickly become the third-largest publicly listed landlord of U.S. single-family rentals by snapping up homes from Arizona to Florida. It now ranks behind Invitation Homes Inc., backed by Blackstone Group LP, and American Homes 4 Rent in a market it says is valued at about $3 trillion and is still largely owned by individual investors. Tricon is aiming to double its assets under management to $10 billion by 2023, attracting capital from institutional investors and bringing corporate efficiency to the market. The Toronto-based company owns 15,500 rental homes in the U.S., with a value of about $2.9 billion. That compares with more than 80,000 for Invitation Homes and about 52,000 for American Homes 4 Rent. My concern with regards to private equity firms and single family homes is that the operation of a large portfolio of single family properties can become very expensive. However, the article mentions how these firms have streamlined their processes to save a lot of money in unnecessary operating cost. Tricon is also building out its maintenance capabilities, with a fleet of trucks Berman calls a “Home Depot store on wheels.” That helped the company push repair and maintenance costs down to 9.7 percent of revenues in the first quarter from 11 percent a year earlier. The numbers are staggering; In my July 22, 2017 article, [L]ocals Priced Out of Buying Homes (Part 2) – Wall Street Destroys Housing Again, I list the number of homes owned by these institutional landlords. The growth in the past 18 months has been nothing short of breathtaking. For instance, Invitation Homes, the publicly-traded Blackstone subsidiary, now owns 80,000 single-family homes. This is up from 50,000 at the end of 2016. In many areas of the country it is clear that these firms have been primarily responsible for the marked increase in house prices since the 2012 nadir. As long as these firms continue to consolidate their power within the rental sector they will continue to place a floor in house prices. As their cost structures continue to fall their profit margins will increase and will thus be able to pay more for houses. My concern is that they will be able to outbid many potential homeowners. Don’t look to the Feds for help. As I have mentioned in the past, Fannie Mae and other federal agencies have been guaranteeing these private equity loans, which allows them to borrow much more cheaply to grow their business. This provides these firms with even more ammunition to compete with homeowners. Individual real estate investors need to accept this new reality. There are many areas of the nation that have been overwhelmed with private equity money. It is helping to permanently reprice real estate. Moreover, we cannot contemplate the gloom portrayed by the alt-financial media that warns of impending private equity ownership distortions and potential collapse. I believe this phenomenon to be a permanent structural feature in residential real estate. Welcome to the new world order. As investors, it is becoming apparent that we cannot compete head-on with this large force. There are some areas that these private equity firms do not consider. Our goal is to raise our capitalization rates. Savvy individual owners will always have an advantage in this regard. Condominiums: The condominium market is still largely untapped and will probably remain this way. If we analyze sale and price data around the country we can see that many condominiums projects have units selling for 50% below last decade’s top. I have been scooping up condominiums since 2012. 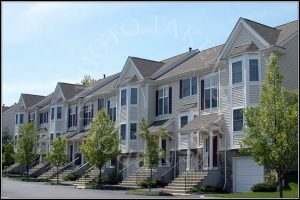 Town homes: Although these properties are sold-fee simple, like detached single-family homes, there are special considerations with respect to town home ownership. There is less management autonomy, and much of the institutional money has shied away from these properties. Older homes: These private equity firms only purchase and manage properties no more than 10-12 years old. I have observed in many instances that the price breaks between old and new homes have widened in recent years and believe this may be due to institutional money. The older homes still offer opportunity to the small investor. It is clear that the institutional money is here to stay as the financial rewards are too great for them to ignore. As their operating costs decline as a percent of rental revenue their existing portfolios of homes will offer more profit potential going forward. The institutional ownership of residential real estate is another reason why I think home ownership will continue to be more expensive as we go forward. Any real estate bust will be ameliorated with a sea of private equity money. Think about it; the globalists are sponsoring these private equity firms and are using them to buy up properties the former middle class used to own. If we consider our ongoing discussions with respect to the conspiracy against humanity, institutional home ownership only makes life tougher for the average worker. I believe the whole real estate market dynamic will be forever altered and many will not be able to benefit. Let’s hope that our understanding of this can help us overcome. Next Next post: May 23rd Show – Is there an “Area 51” of economic and monetary policy research?